Mark Segal has been delighting audiences worldwide for over ten years. An experienced international performer he presents high skills with humour, spontaneity, improvisation and audience participation. Mark has been invited back to perform again at every festival he has appeared at. 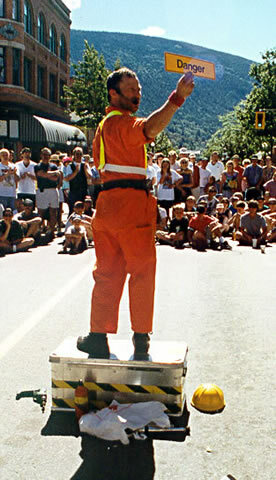 Mark is available for bookings regarding International Street festivals and other street performance, corporate entertainment or arts based events. Please feel free to browse through the information contained in this site and use the on-line form to contact Mark regarding any queries.